Materialism and sensuality dominated the Age of Taurus(4100-2000 BC) with Egypt, Mesopotamia, Assyria, and Greece as the dominating cultures. Also known as the Bronze Age where money, wealth, and agriculture developed as well sexual and fertility rites. The cow or bull was deified and bull fights became popular. The Minoan and Crete civilazations and the legends of the Minotaur also developed during this period. The pyramids and megaliths which were built during this period still stand as testimony to the endurance and permanence of this sign. 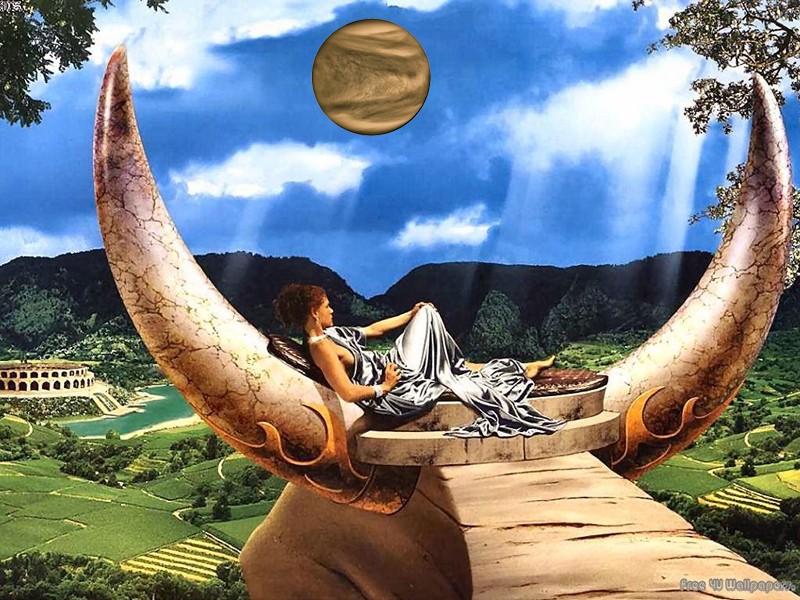 This Age's effects lasted way into the Arian Age when around 1500BC, according to Immanuel Velikovsky, Venus(ruler of Taurus) made its presence felt in several approaches, terrorizing the nations of the Earth. Song, dance, art, and celebration also highlighted this age.